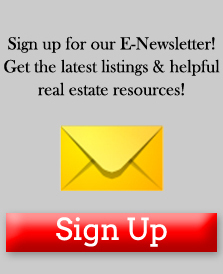 Why should Ron Bruder be your Real Estate Agent? 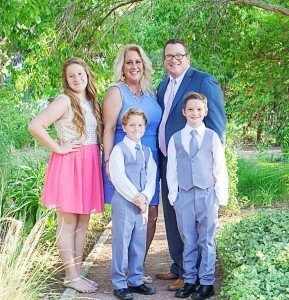 Ron was born and raised in Las Cruces, NM, and is married to Pearie and has three children Veronica, Michael, and Max all of whom are also Las Cruces natives. Ron worked part time during his college years for the Bruder Real Estate Team. After completing his college degree in business, he realized that his full time career objective was to serve Las Crucens as a guide through the often complex and confusing home buying and selling process. 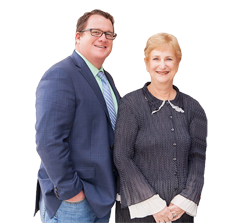 For the past 15 years he has worked with his parents Evelyn and Murray as an outstanding REALTOR on the Award Winning Bruder Real Estate Team. What can you expect when Ron Bruder is your REALTOR? The Right Realtor makes all the difference in your Real Estate experience. He will always take the time to learn about your wants, needs and desires. Ron’s Clients comment that they can actually feel the quality, caring service that he provides and his commitment to make sure that all of their goals are achieved. See some of our Testimonials! As a part of the top ranking Real Estate Team in Las Cruces for more than 15 years, he has accumulated extensive knowledge and sales experience. His technological expertise and professionalism, has allowed Ron to successfully assist hundreds of families with the sale or purchase of their home. His clients commend him for his diligent, consistent and superior performance. See a record of our past 5-year’s sales here! Most important of all is the innovative way he does business. He understands that Real Estate buyers and sellers are knowledgeable about both technology and the real estate market. His goal is to meet and care for clients on their own terms, and use his skills to provide modern Real Estate Services in whatever way his clients’desire. “I am here to help, not to sell. I pride myself in taking the time to listen and understand my client’s goals. I believe that when we establish this relationship, I can provide them with a successful, stress free real estate transaction. I am proud that, on independent surveys, over 90% of my clients are happy they have worked with me.